It was the darkest day of my life. I had been at the church for four years. I was on pastoral staff. I knew ministry was tough, but had never experienced anything like this. I had heard negative comments in the past, but this time was different. I was scared. It felt like the church that once so loved me now rejected me. My job was on the line, and my family was threatened. I felt like there was nothing I could do to change anything, and my fear only grew and intensified. I felt trapped. I felt hopeless. As I submitted my fears to God, He comforted me, and here are three questions I learned to ask from the experience. 1. Why Do I Feel Fear? In a nutshell, I felt fearful because my thinking wasn’t right. In fact, in the midst of my circumstances, I wasn’t even thinking about God! When on occasion I did think about God, He felt neither good nor close. I felt like God had forsaken me. I was letting my circumstances and situations affect my understanding of who He was. The Bible tells us again and again not to worry: “Do not worry about your life” (Matthew 6:25); “Do not worry about what to say” (Matthew 10:19); “Do not be anxious about anything” (Philippians 4:6); and many others. So why was I afraid? I was afraid of what this world could do to me. In my own little world, I was so worried about what men might do that they became big in my mind, and God became small. In the midst of possible rejection, attacks or oppression, I completely left God out of the picture. 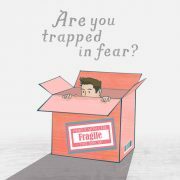 Fear is not just a horizontal problem—a problem of our circumstances or situations. 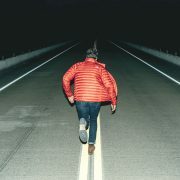 Fear is actually a vertical problem—a problem in our relationship with God. 2. What Lies in My Heart? Our knee-jerk reaction is usually, “get out of the situation!” We want to shift gears and avoid our negative emotions by changing our circumstances or situations, the people we surround ourselves with, our hobbies, our career, our possessions. However, Proverbs reminds us, “Above all else, guard your heart, for everything you do flows from it” (Proverbs 4:23). When we respond to what life throws at us, our words and actions point back to what’s in our hearts. When I complain about my situation, what is hidden in the deep compartments of my heart are made evident. Much of my fear revealed how far my heart was from God, and how close it was to the world. I thought my circumstances dictated how my heart responded, but that wasn’t true. The problem was that my heart submitted to my circumstances, instead of looking beyond them. As I looked to the Bible, it became evident that my fear was magnified when I did not look to Christ as the source of all my hope and all my healing. Instead, my heart had made an idol of the approval of man, and could not see beyond the circumstances. 3. How Should I Respond to Fear? The antidote to fear is the Father’s unconditional love. I need not dwell on my own imperfections and inadequate response to my circumstance. Instead, I needed to dwell in the abundance of God. How do we do this? We remember God’s past provision in our lives as we look forward to His hopeful future. When we are hopeless, Scripture reminds us “My grace is sufficient for you” (2 Corinthians 12:9). I needed to surrender the idol in my heart, and let God take the throne. When I refocused on God, He became so much more pleasing, beautiful, astonishing, lovely, glorious, and breath-taking! This enabled me to overcome my sinful fear and experience true freedom. God used those moments of fear to make me more like Christ. In fresh ways, God pointed out the work that Jesus has accomplished on the cross. In the midst of the imperfections of this broken world, we all need reminders of the death and resurrection of the Savior Jesus Christ. When we do so, Jesus’ perfect, faithful, steadfast, and undying love becomes the strength for today and hope for tomorrow. That is the reason the Psalmist can cry out, “For I was envious of the arrogant. . . Until I went into the sanctuary of God!” (Psalm 73:3, 17). Why this hardship of fear in our lives? Ultimately to bring glory to the Father by redeeming His people from the curse of sin. This storm I experienced revealed once again my need of the Savior. Christ’s power is made perfect in my weakness and drew me ever closer to Him. In a divine moment, God allowed calamities and suffering for the sake of humbling my heart and bringing me back to holy reverence. Maybe you know someone who needs to hear this, or maybe you yourself needed this reminder. Even when things are not going the way you had hoped, you can still have hope in the Lord. God may not change your circumstances, but God promises to give us the perseverance needed to face tomorrow. During that season, God did not change my circumstances. But He gave me His peace which surpasses all understanding, and that protected me in the midst of the storm. My future was no longer guided by the fear of giving up. Jesus became the source of my hope. If you’re facing fear in your life, be encouraged. God will give you comfort and draw you close to Himself. You’re not alone in your fear and your struggles, and I want to encourage you to take a moment today to turn to the Lord in prayer. I have been taking swimming lessons in the open ocean for two summers, but I have not quite shaken off my fear of the deep, blue water. My adventure with the open seas started three years ago when I toyed with the idea of joining my local surf lifesaving club. I wanted to meet new friends, contribute to my community, and I thought the surf sports the lifesaving clubs put out seemed fun. I had also naively thought that the transition from a pool swimmer to an open ocean swimmer was an easy one. I learned a hard lesson when I signed up for my inaugural 500 meter open ocean swim, equipped with limited knowledge of swimming in the ocean. I was seized by panic, and had clung on to my friend for the best part of the swim. That was when I knew I was not ready to be a lifeguard, because what lifeguard is afraid of the ocean? So when I heard there was a workshop dedicated to coaching swimmers of varying levels of open water confidence, I immediately signed up for it. I found my first few months in the open water rather terrifying, and I would refuse to paddle too far out. If I could not feel the ground, I was not keen on going any further, so I spent a huge amount of time swimming with the beginners. To make matters worse, I kept having flashbacks to my first 500 meter swim where I was convinced I nearly drowned (I didn’t because I was kept buoyant by my wetsuit and if I had been in real danger, I would have been fished out by a lifeguard). Even when it was soon obvious to the coaches that I could (and would be better off) swimming with the more advanced beginners’ group, I would flatly refuse. There were two specific scenarios that I feared: swimming too far out in the open ocean that I’d be unable to swim back to shore, and drowning under the watchful eye of the coaches. As you can see, my fears were irrational, but I guess that is what fear does to us—it makes us entertain all sorts of crazy thoughts. However, while I can now laugh at how irrational my fears are, I cannot begin to tell you how much I regret allowing fear to rob me of the potential to go further in my ocean swims. For example, if I had not spent so many months like a petulant toddler at the side of the shoreline, I am sure I would be able to enter various ocean swim races held in different places of New Zealand by now. Don’t get me wrong, I am still no pro, and sometimes the sight of the choppy waters is enough to make me backpaddle to safety. But looking back, the root of my fear was my lack of trust in God. Had I been more aware of God’s protection, knowing He will have His eye on me, I think I would have been less afraid of the open water. Had I spent less time nursing my fears, and focused more on pushing myself, I would have passed my surf lifeguarding course and would be patrolling beaches this summer, keeping swimmers safe. Fear is a great robber, but I’ve learned that instead of entertaining various morbid thoughts, I could pray for safety, for the coaches to be alert, and for favorable water conditions. And even if the water conditions are less than favorable, then I could pray for the strength to continue swimming. Of course, this doesn’t mean that I should be putting myself out there to do something outrageous if I wasn’t equipped to do so, but that I can entrust my fears to God even as I progress in my lifesaving course. One of my favorite verses is from Psalm 103:14, where the Psalmist says, “for He knows our frame, He remembers we are dust”. I believe this verse tells me God knows just how frail I am as I work up enough courage to paddle out in the ocean. But what brings me comfort is the knowledge that the Bible is also filled with Scriptures telling us not to be afraid. Some of the verses that I often think about whenever I feel fear gripping my heart are 2 Timothy 1:7, Psalm 56:3, and Psalm 23:4. While these verses do not immediately erase my feelings of fear, meditating on them has made it easier for me to bring them to mind and strengthen me whenever fear starts attacking me. Open ocean classes resume next Saturday after a three-week break. 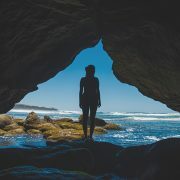 While I am not 100 per cent convinced I will not balk at the sight of the ocean the moment I step inside my wetsuit, I am determined to trust in God. For instance, I will not panic the moment I lose sight of any one of the coaches, knowing full well they are positioned at different markers to keep an eye on us. Instead, I will take a deep breath, pray, and continue swimming towards the markers. To further fuel my courage, I will also replay my past achievements. There was one Saturday where I managed to shovel my fear all the way back to the recesses of my mind, and completed a 1 kilometer swim in the ocean. I could hardly believe I did it—and I hope this achievement will motivate me to keep going further. Fighting and banishing fear out of our lives is not an overnight activity. I do not know when I will be fully able to overcome my niggly fear of the open water, but I’m going to focus my efforts on my goal of joining the surf lifesaving group one day. Fears are big, ugly, and generally rather irrational. I’m not trying to dismiss your fears—I know all too well how paralyzing they can make us feel—but I want to tell you that you can trust God with your fears. Whether you are heading out to new adventures, trying a new hobby, or faced with an uncertain future, God wants you to put these fears in His hands. Description: Are you boxed up in a situation that you can’t seem to get out of? Sometimes, taking the first step out of our comfort zone to tackle issues can be a difficult choice to make. But when we call out to God in the midst of all our troubles, He reveals to us the freedom we can receive by trusting. Will you obey Him to take that first step? 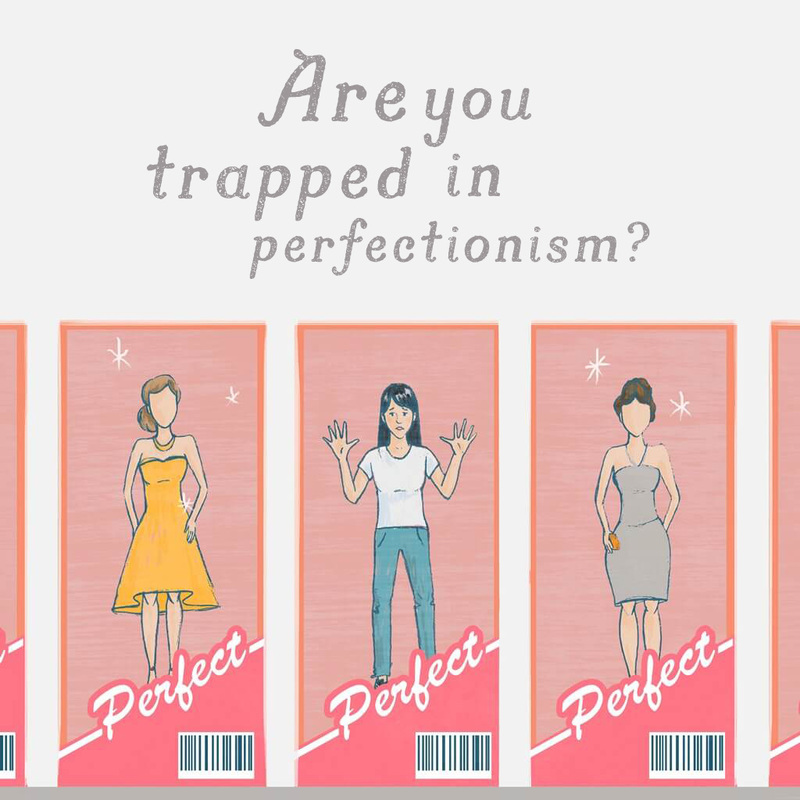 Are you trapped in perfectionism? Many of us are trapped in the habit of comparing ourselves to others. If she’s not prettier than me, she has a more exciting job as compared to me or has more friends than I do. Instead of trying to be the perfect person, focus your eyes on the Perfect God that we have. He wants to free us from being stuck in the middle of all of these doubts and negativity we surround ourselves with. 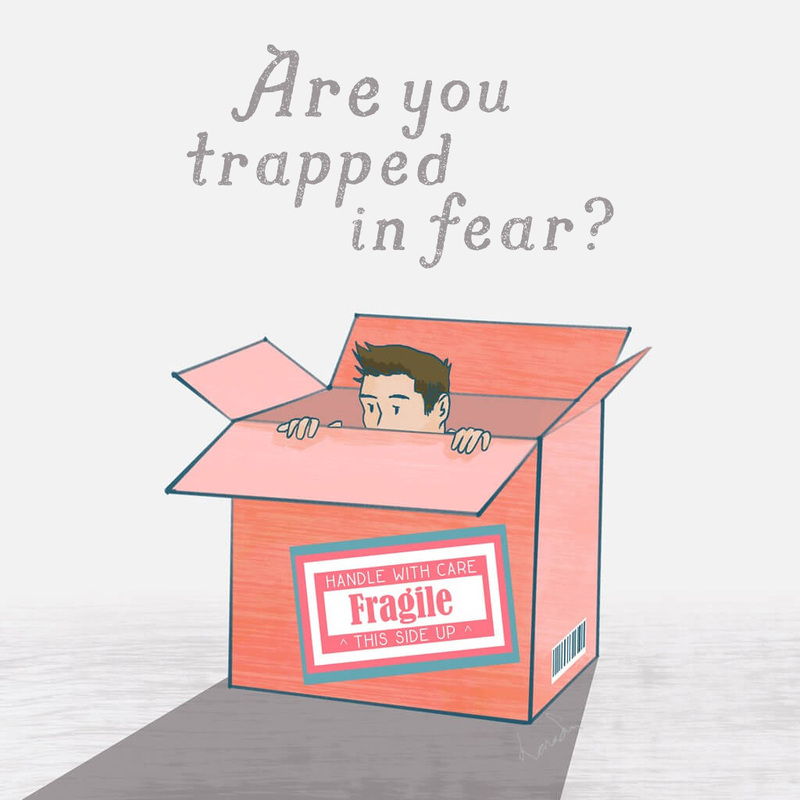 Are you trapped in fear? Is fear a monster in your life, waiting to pounce and eat you whole? Are you unable to be vulnerable before others for fear of being judged? Do you find yourself always needing the approval of man? The easiest thing to do in such situations is to hide ourselves in the box. However, after hiding for too long, we can become trapped. He calls us into His loving arms—a safe place where there’s no need to hide before Him. 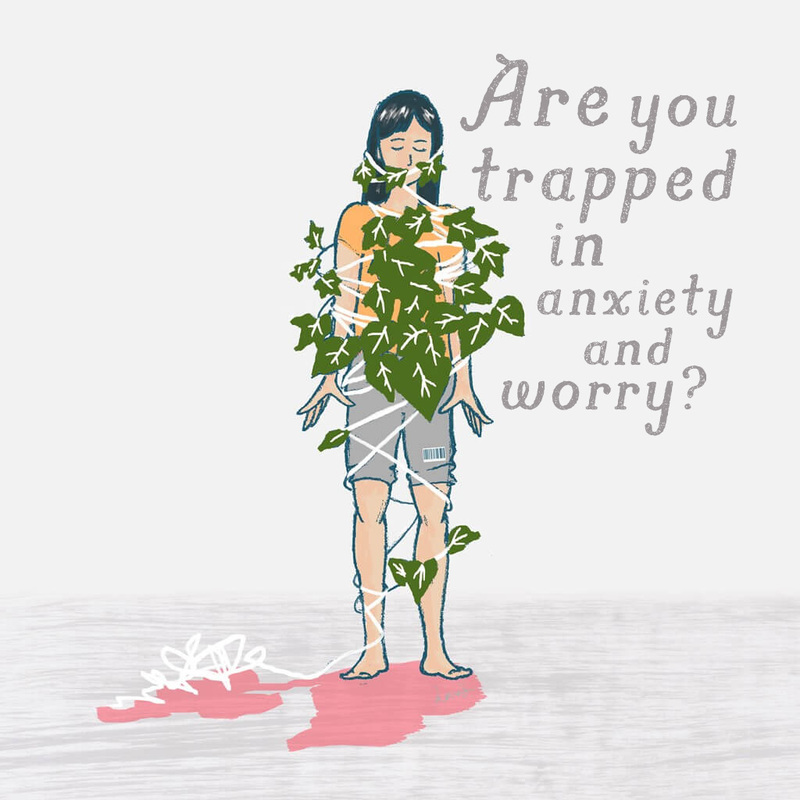 Are you trapped in anxiety and worry? Are you worried about your future? 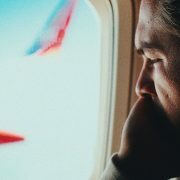 Will I be able to find a good job? Will I be married one day? These thoughts can consume us from time to time, leaving us in despair or panic. However, when we allow these anxieties and worries to grip us, it prevents us from being able to move forward in life. Although we may still be afraid, we can trust in the One who is in full control of every situation. 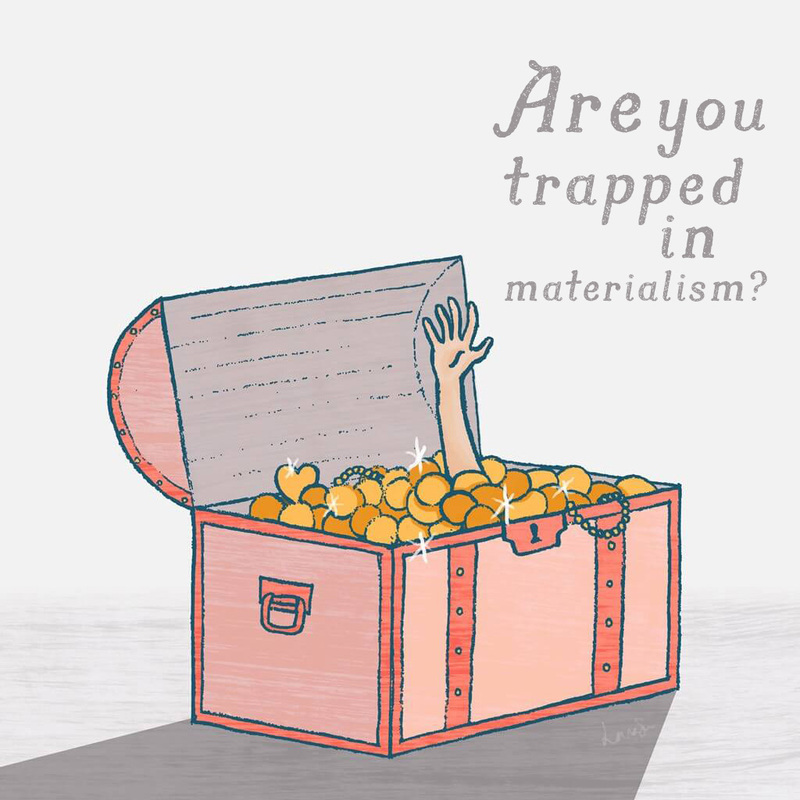 Are you trapped in materialism? Do you find great satisfaction when you shop for material things? Do you find it hard to be generous in giving to others? Even after buying all that you want, you know deep inside you that these will never satisfy. Take heart, you are not alone in such troubles. Perhaps it’s time to “seek first the kingdom of God and His righteousness” (Matthew 6:33) and know for yourself the true satisfaction we can have in Christ alone. 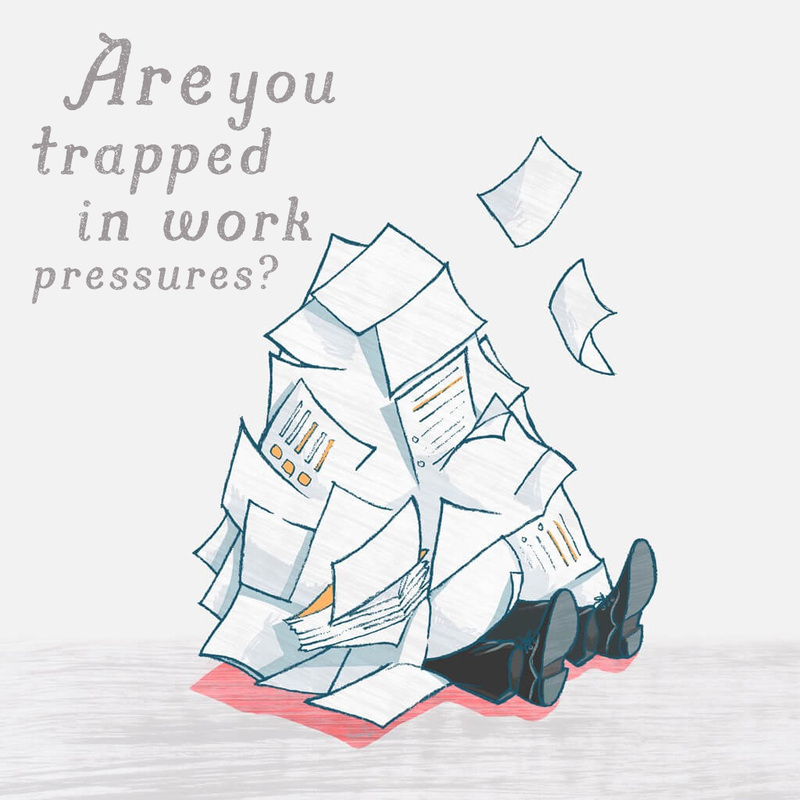 Are you trapped in work pressures? Another meeting? More deadlines? Got to get this done by today? Does this sound like you? Oftentimes, we are trapped under the overwhelming amount of work and are unable to escape. Some of us respond by being more driven by the fact that we are recognised for our ability to achieve the daily requirements, while the rest of us succumb to the stress of work. Either way, we fail to recognise that God calls us to rely on His strength daily and our calling to be a living testimony at work and beyond. Everyone has their own irrational fears. Sometimes, they affect us so much that we are imprisoned by them. For me, it escalated from a common cold. I woke up one day with a sore throat, which turned into a cough. I eventually went to the doctor’s. His diagnosis? A common cold. I was given two days of medical leave to rest at home. Just when I thought I was getting better, my cough worsened. In fact, I coughed so much that I felt nauseous. I lost all my appetite and could hardly eat anything—I had to force myself to eat just so that I could take my medicine. I was drowsy the entire day and sometimes feverish. I spent most of my days sleeping, but could not sleep well since coughing often woke me up. To make matters worse, I was worried about the work waiting to be done in the office. My boss was away and there was no else trained to liaise with our vendor. I remember the day I decided to return to office to complete some of my work. As I took the train to work, I started to cough. The people around me on the train started distancing themselves from me. I hated that moment—I wish I wasn’t sick. I wish I could hide from the other commuters. People were shunning me as if I had some strange and serious infectious disease. It was so embarrassing. How could a common cold cause so much discomfort to me? When would I recover? It had been five days. Surely it wasn’t just a common cold? The doctor must have got the diagnosis wrong! What if I had lung cancer? What if I was suffering from tuberculosis? I knew someone who had tuberculosis and her recovery period was very agonizing, full of needles, different medications, hospitalization and multiple doctor visits. It all escalated from common cold symptoms too. I tried to distract myself from the irrational thoughts within me by turning my attention to songs. I came across a song by Casting Crowns titled Oh My Soul. The songwriter Mark Hall sang: “There is a place where fear has to face the God you know,” and hearing that liberated me. God was telling me not to be afraid. He was using the song to assure me to lay my fears before Him because He knows our fears as much as we do. When we bring our fears before God, He shoulders them for us and frees us. When I researched about the song, I learned that the songwriter had written the song at his lowest point—on the night that he was diagnosed with a cancerous tumor in his kidney. I was inspired by the songwriter’s faith. Indeed, I worship a God who has stayed by my side throughout all seasons and has never left me. Why didn’t I lay my fears down? I was so caught up with my fears that I had forgotten that I could actually give them to God. In fact, my overthinking felt rather silly since all my fears were probably unfounded. The more I focused on my fears, the more afraid I was. Instead, I told myself to focus on God. Soon, I found peace knowing that I can surrender all my fears to the God that I know. I said a silent prayer of repentance. I had allowed my preoccupation with my own fears to rob my peace away when I should have entrusted my fears to Him. That night, I worshiped, prayed and slept. In the middle of the night, I woke up coughing again. But strangely, I started weeping, I felt touched as I felt the presence of God surrounding me when I needed comfort most. At that moment, I sensed a divine peace in my heart. I remembered John 14:27, where Jesus tells his disciples, “Peace I leave with you; my peace I give you. I do not give to you as the world gives. Do not let your hearts be troubled and do not be afraid.” This flooded my mind and I was comforted by God’s Word. The verse reminded me that He gives us His peace even when we are facing trouble. We need not be afraid because He is present with us. Within minutes, I felt something lifted off my throat and I was miraculously healed. My throat no longer felt as itchy and dry as before, and my cough became more manageable from that instant onwards. The cough was completely gone by the end of the week. It was God’s way of reminding me that there is a place we can surrender our fears, a place we can feel safe. After all, He is the Good Shepherd who lays down His life for His sheep (John 10:11). Hence, with God by my side, I need not be afraid of losing my health and comfort. Even when I’m not in control of what happens to me, God is.